Since I am an extremely visual person, I love vision boards. Some people are more wired to journal because words have more meanings but for me, it's all about the visual (although I do journal periodically). As I have been consistent in having a Vision Board that inspires me to be my best I thought it would be helpful to share some of the best tips (and ooopsies) of what I have learned over the years. Keep it simple: I once had a really big office so I thought it made since to have two vision boards side by side...wrong! Your vision board is meant to be a high level/highlight of what inspires and motivates you...not a laundry list of everything you think is inspiring. 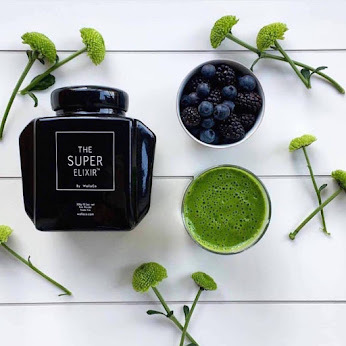 And it is even better when you keep it simple and nailed down to the things that most directly connect to your goals or upcoming important events. Those two boards were cluttered with things that were all over the place and so I rarely referred to it instead of making it a point of constant inspiration. Also in keeping it simple, make a separate vision board that's intended for you personally and one that's intended to be for your family, book club, nonprofit team, etc. Make it an evolving place and expect changes: I always thought that a vision board was strictly for goals only and that once I achieved the goal, I could take down the item. While you will have items on your vision board related to a goal (as noted above), not everything on there needs to be some systematic, check list event or thing. Think of it as something that evolves as you find out more information, as your goals change, as what inspires you change, etc. It's for you so make it reflect where you are. No new years resolutions: I used to only work on my vision board when it was the new year and it was time to make resolutions. I still laugh about that...like most people, goals and inspirations only determined when it is a new year tend to be short winded and not well thought out. It's okay if it's important to you to add something that is a new year's resolution but put it on a sticky note or connect it to a long term goal that's important to you...just don't make your whole vision board about new years resolutions only. Keep it someplace where you have to see it frequently: This by far is something that I wish someone would have told me when I made my first vision board. My first one was on an 8 1/2 x 12 glass frame and a couple weeks after making it I put it on a bookshelf that was in a corner. I wouldn't see it again for weeks at a time! If you spend as much self-love, thought and genuine time creating your vision board, then it's obviously filled with things you care about...make sure you see it daily or weekly! Inspirational: a celebrity, family member, friend or other key figure that inspires them to want to be a better person in what they say, do, don't do, activities they are involved in, etc. Key Phrases, Words or Quotes: words are very powerful and so if there is word, quote or phrase that you know will be a constant source or reminder to be great, then type it up, write it out or clip it from a magazine! Visual "Candy": this can be anything that visually emotes a positive reaction in you. I know people who will put something from a memorable vacation, an event or anything that causes them to know what is possible in life and to live to the fullest. Goals/Mission Statements: I only put (and would suggest putting) a summarized version of your goals and notes from your Mission Statement. Depending on how big your vision board is, space is of the essence so use it wisely. Sometimes I will only put short term goals on post-it notes with the longer term goals captured in another way as mentioned above. Reminders of Promises to Yourself: I especially recommend this when you are someone who needs a reminder or reason why you are saying "no" to an obligation or commitment. I only started putting this on my vision board as I got older and boy does it work! For example, if you have a picture of the Eiffel Tower (like I do) on your vision board as a reminder that you are saving up for a five-star Paris experience with our besties, then constantly seeing that picture on your vision board will help you say "no" to invites where you know will require you to spend over your budget. So what's on my vision board? I purchased my all black vision board a while back from The Container Store and I love it because you can use tacs to put up photos, clippings, etc. I found a similar one here. 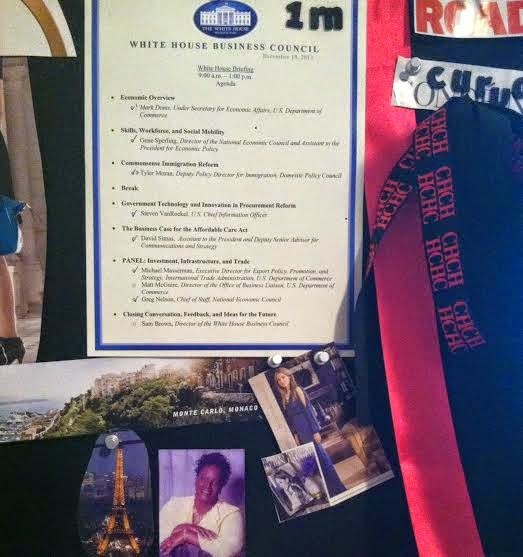 Picture #1: the meeting agenda from my life changing White House Business Council visit, a satin bold pink ribbon that I think is gorgeous, a picture of the Eiffel Tower because it is on my bucket list, pictures of two people that I think are elegant and beautiful (my mother and Aerin Lauder), and the fabric ribbon used at Carolina Herrera's CH store that inspires me to strive for quality over quantity. 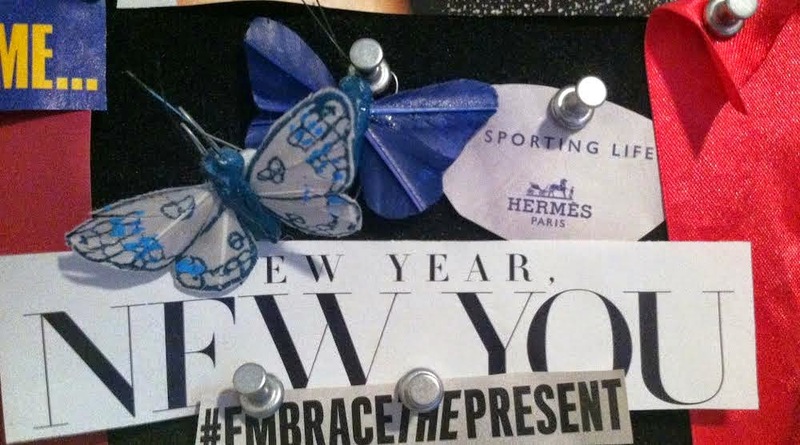 Picture #2: Two butterflies that remind me to be free and do what honors who I am, a magazine clipping of "New Year, New You" that inspired this blog post, another magazine clipping from the Hermes advertisement that says "Sporting Life" that reminds me to workout! 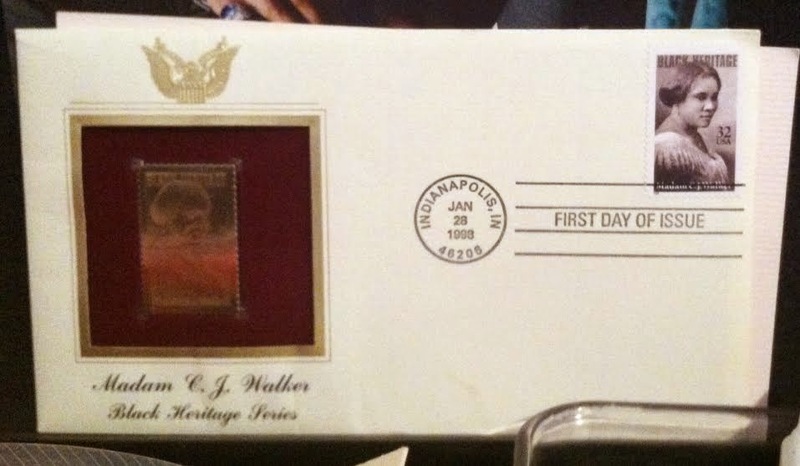 Picture #3: The Post Office commemorative gold stamp and holder of Madame CJ Walker, America's first female self-made millionaire that reminds me that there are no limits to what you can do! So what inspires you and what will your vision board look like after reading these tips? Can You Be Talked Out of Your Dream?